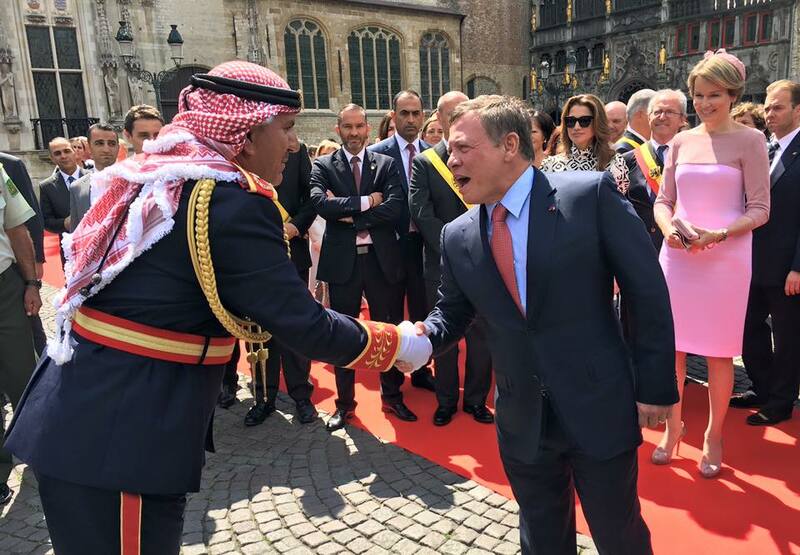 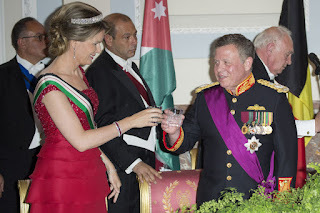 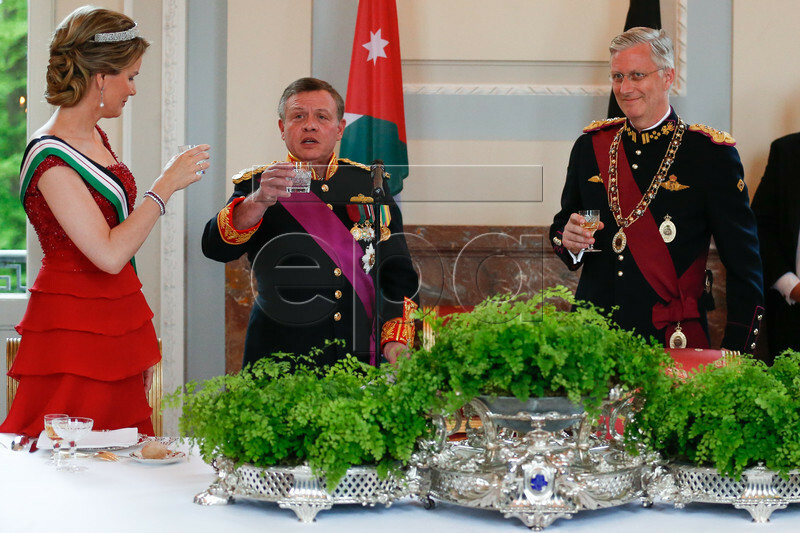 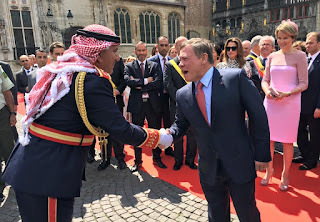 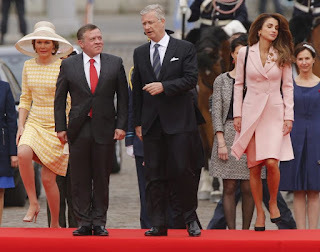 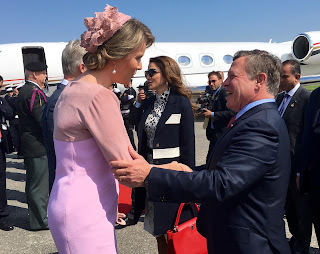 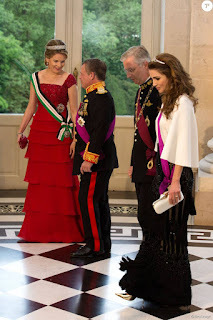 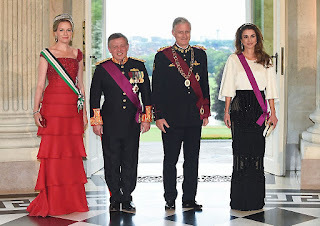 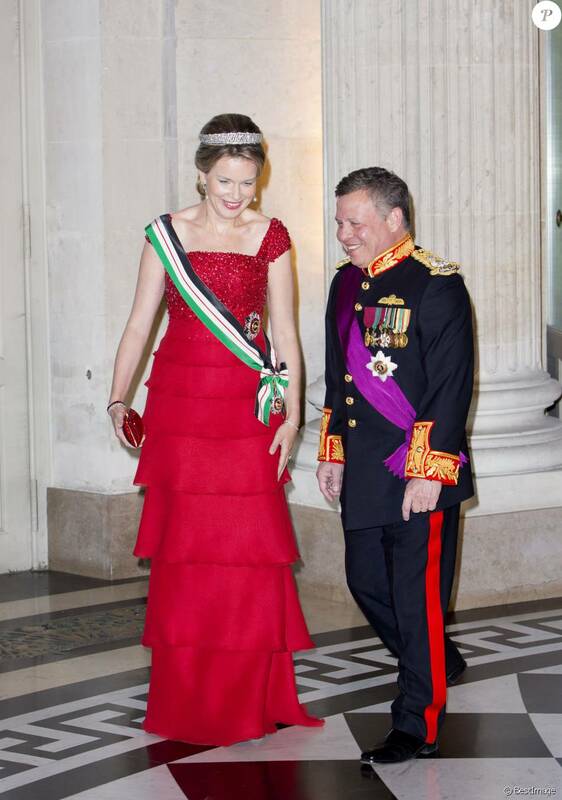 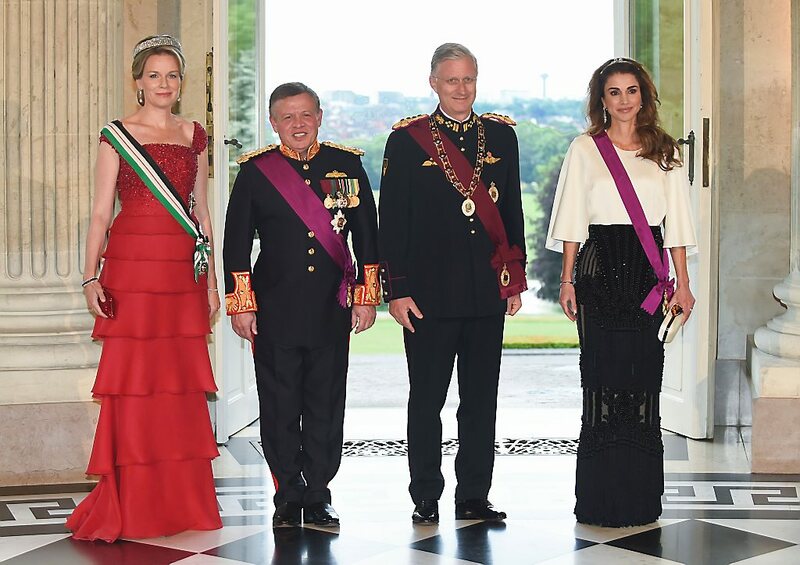 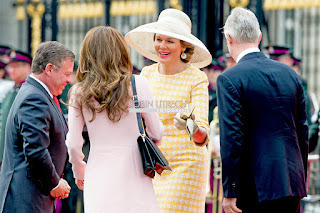 King Abdullah and queen Rania of Jordan arrived in the late afternoon in Belgium for an official state visit. 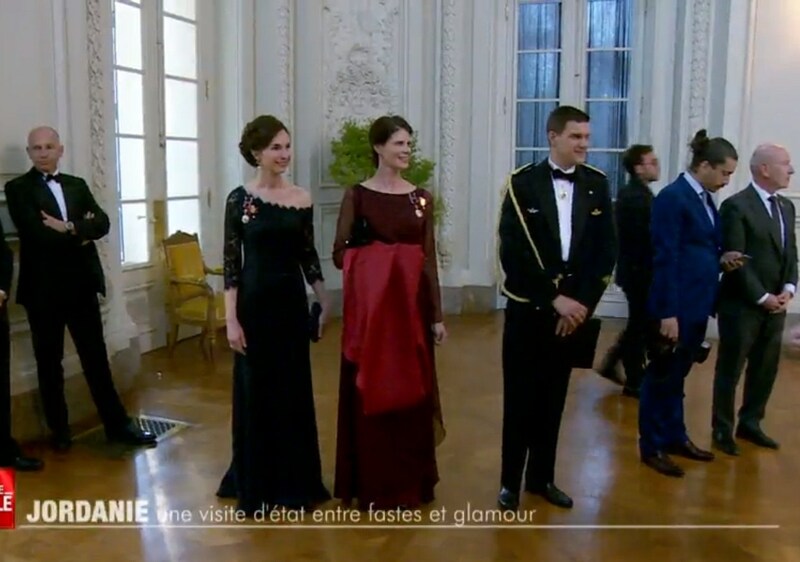 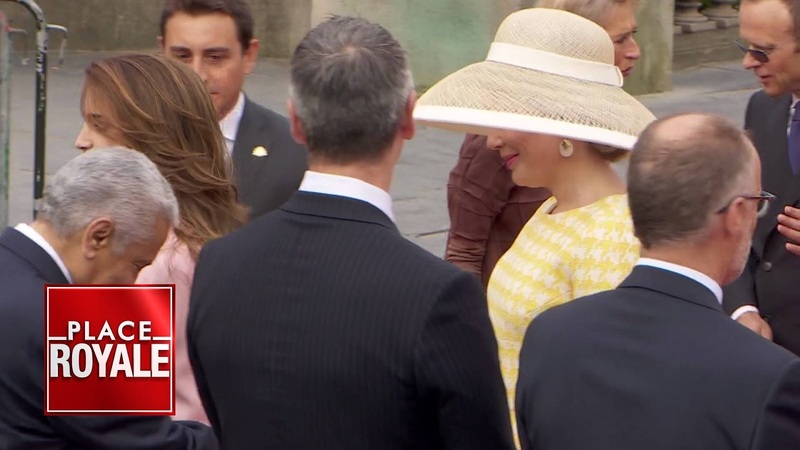 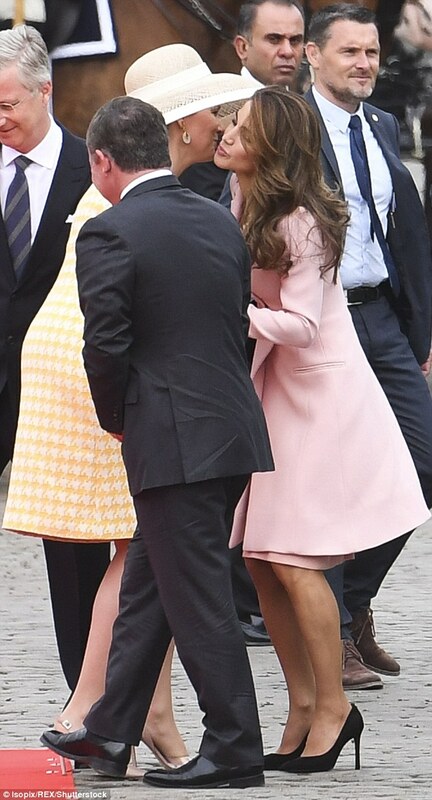 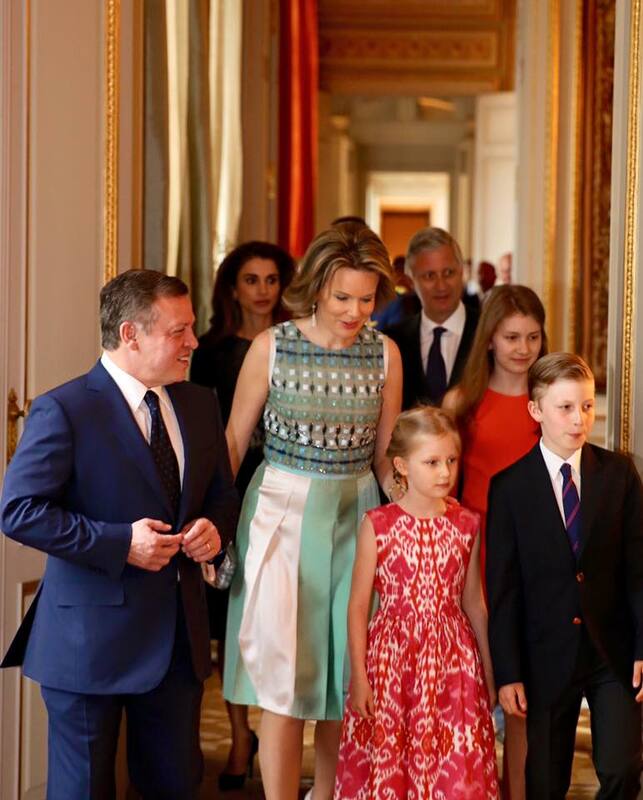 They were welcomed by king Philippe, queen Mathilde and their children. 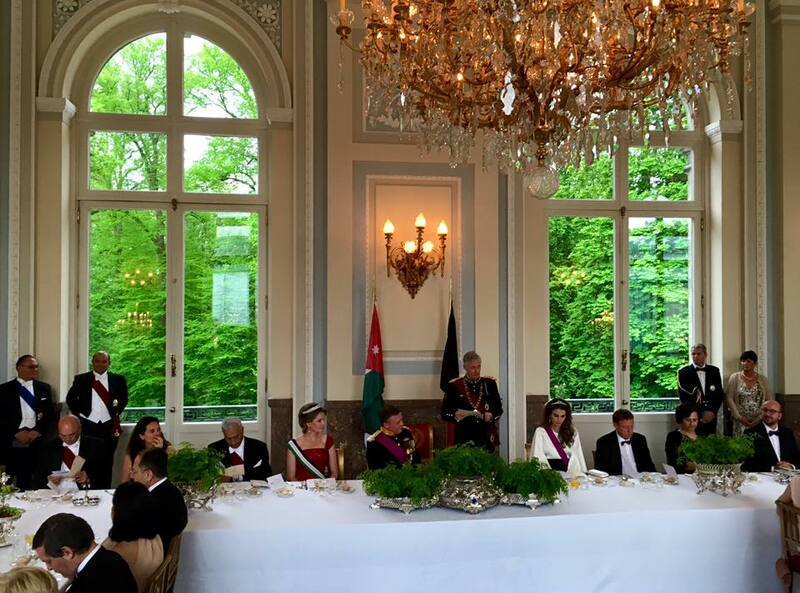 The Jordanian couple is staying with the family at the castle of Laken for the duration of the visit. 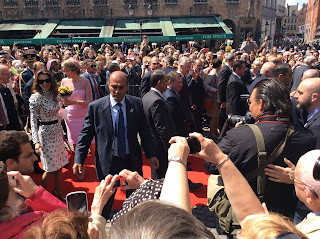 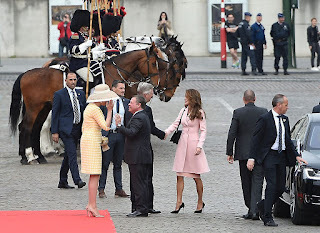 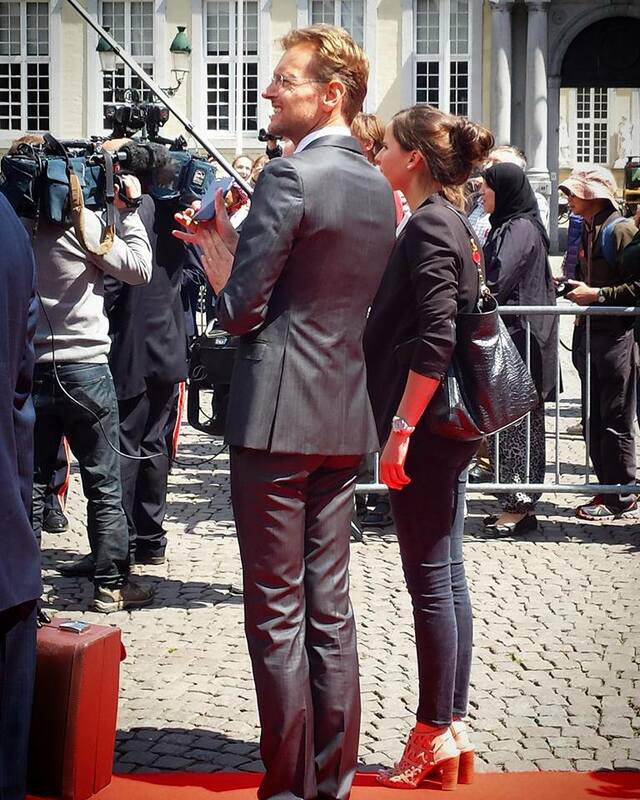 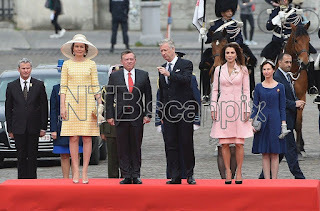 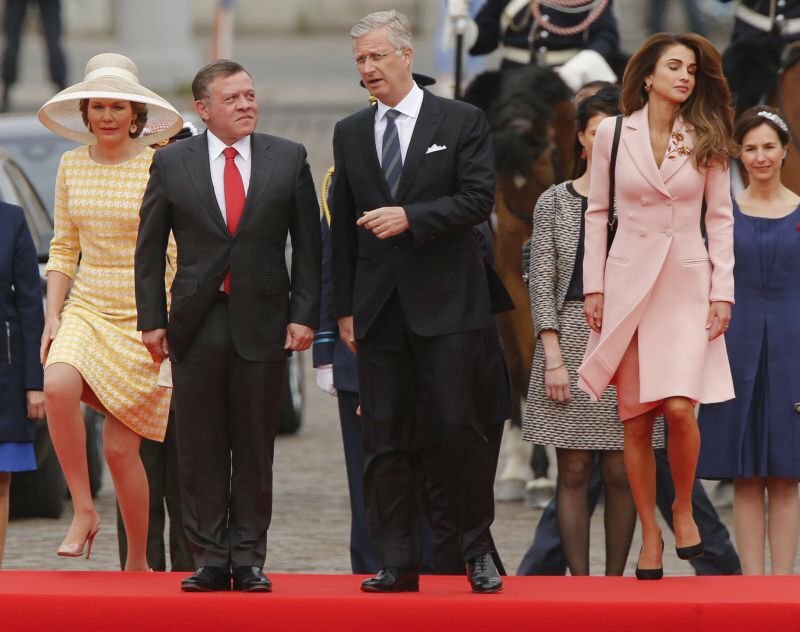 In the morning the Jordanian and Belgian royal couple assisted at an official welcome ceremony at the Place des Palais in Brussels. 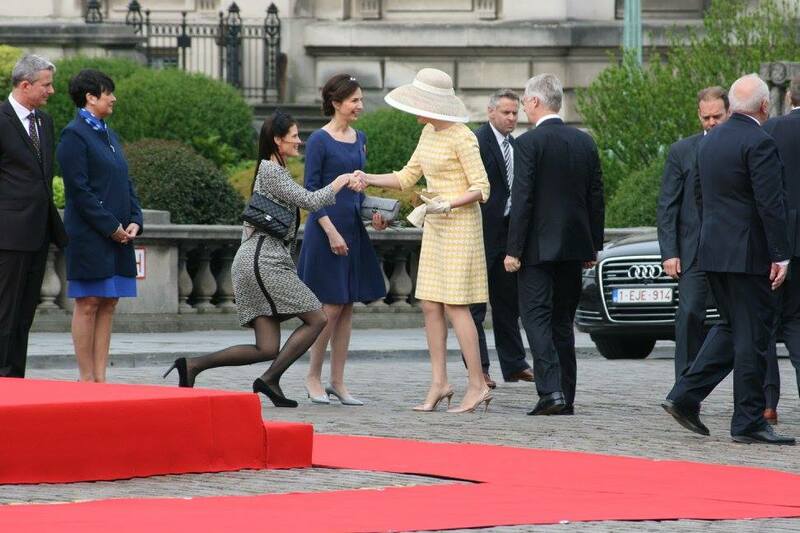 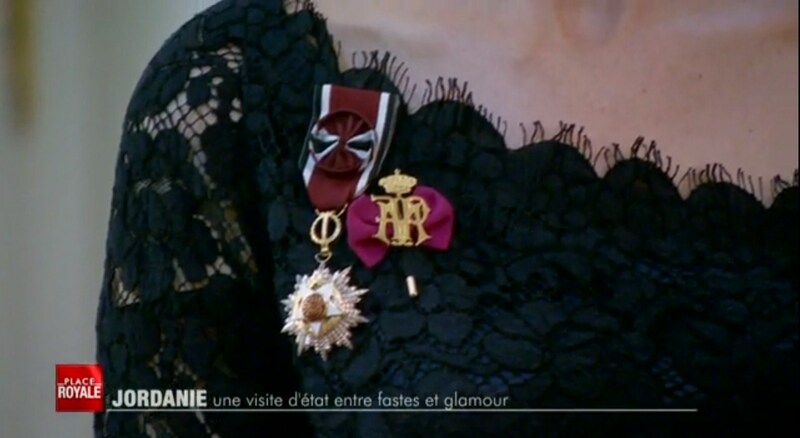 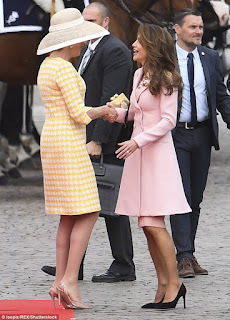 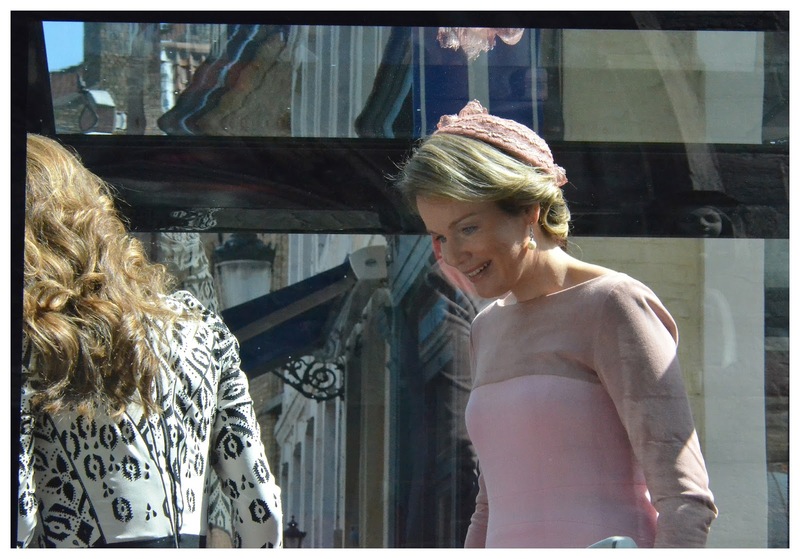 Clotilde Boël and Melissa Maas acted as ladies-in-waiting for the two queens during the state visit. 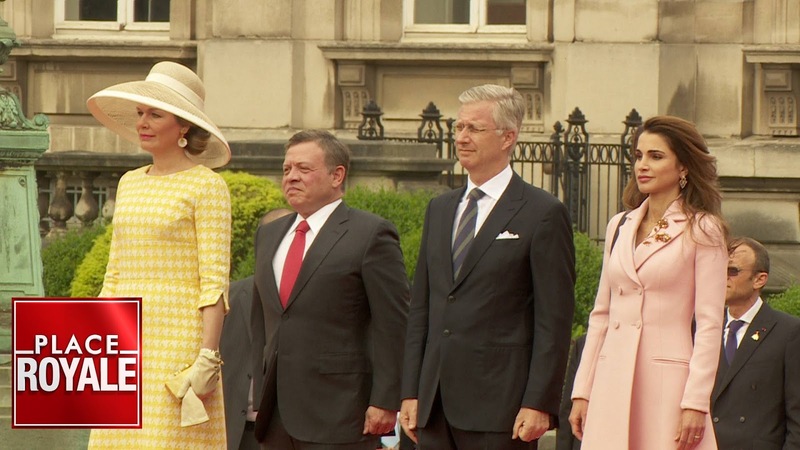 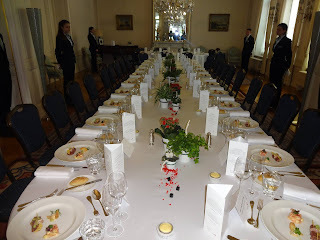 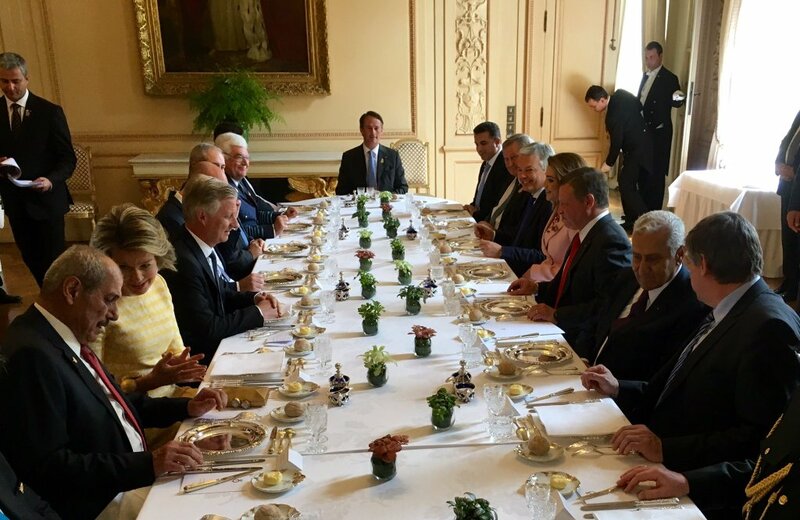 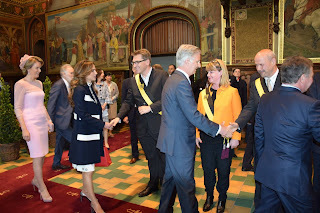 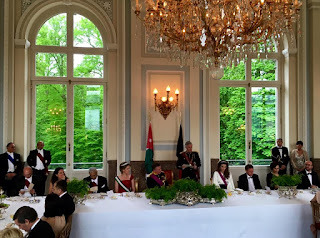 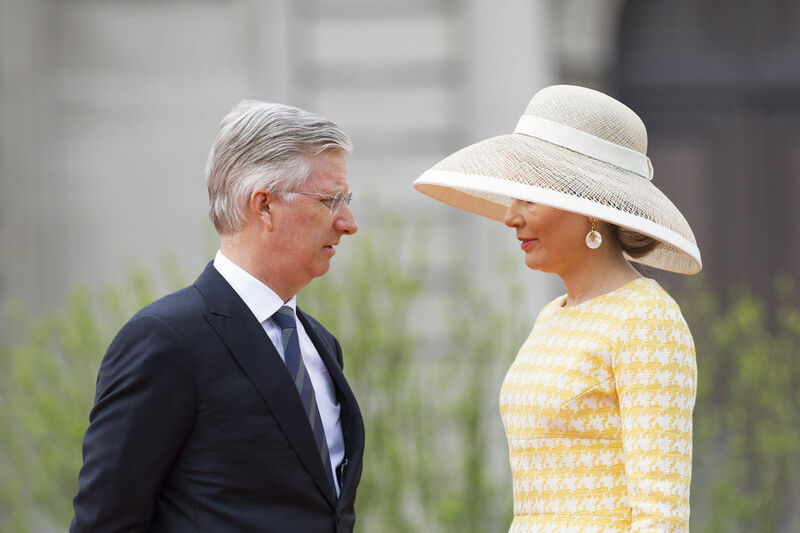 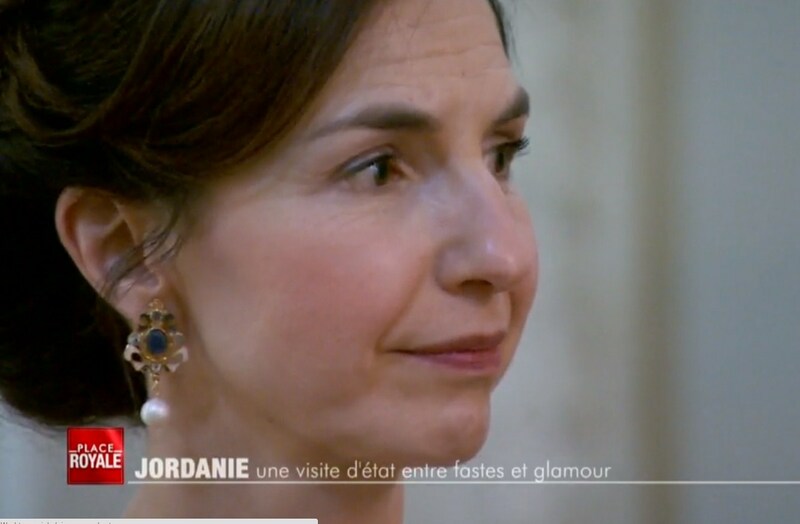 After meeting prime minister Michel, both royal couples had lunch together at the royal palace in the company of Belgian and Jordanian ministers. 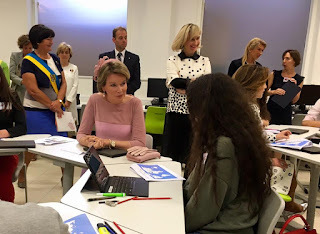 Queen Mathilde and queen Rania had a meeting with participants of "Boost", a project supported by the King Boudewijn Foundation encouraging young people to develop their talents and launch a career. 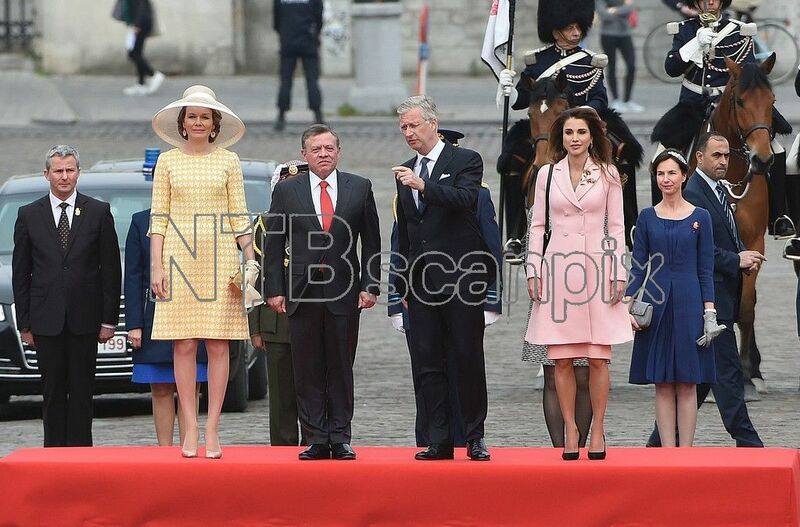 Both couples then headed to Louvain-La-Neuve where king Abdallah gave a speech at the "Centre for Islam Studies" of the UCL University. 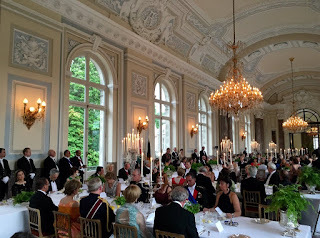 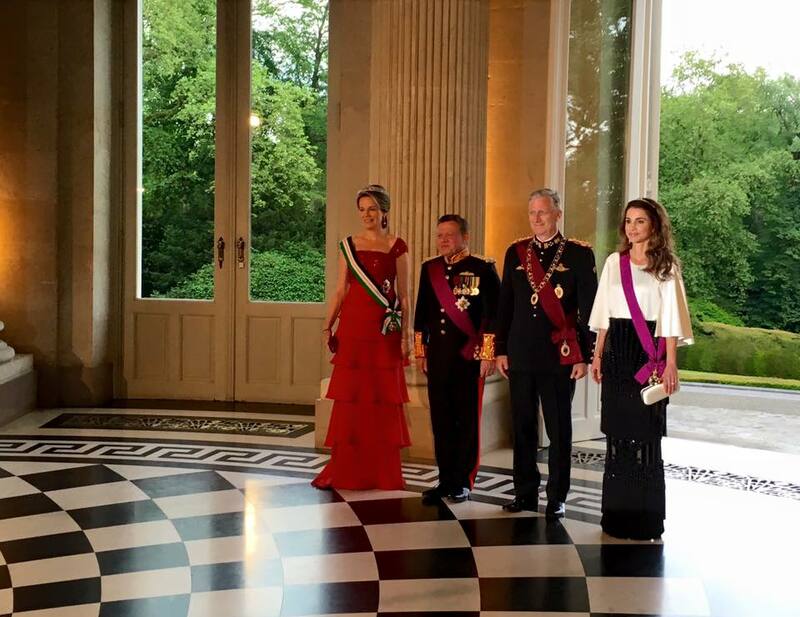 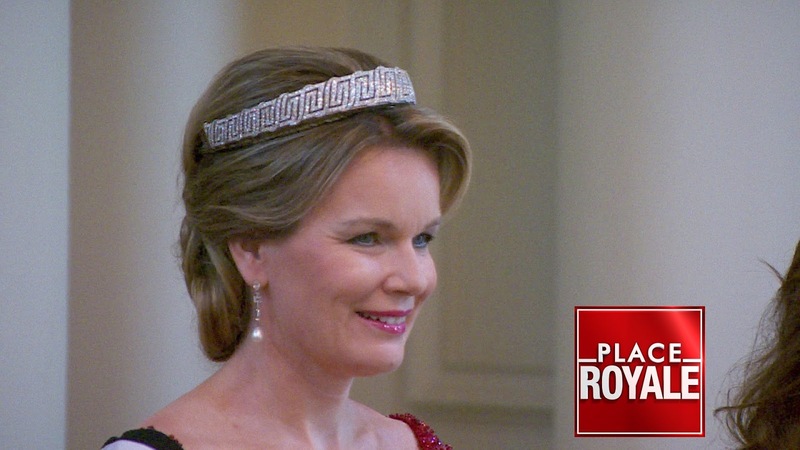 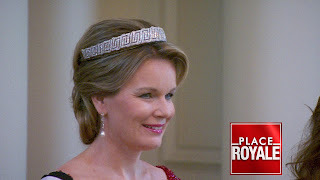 At 20:00 a banquet was hosted by the Belgian king & queen at the castle of Laken. 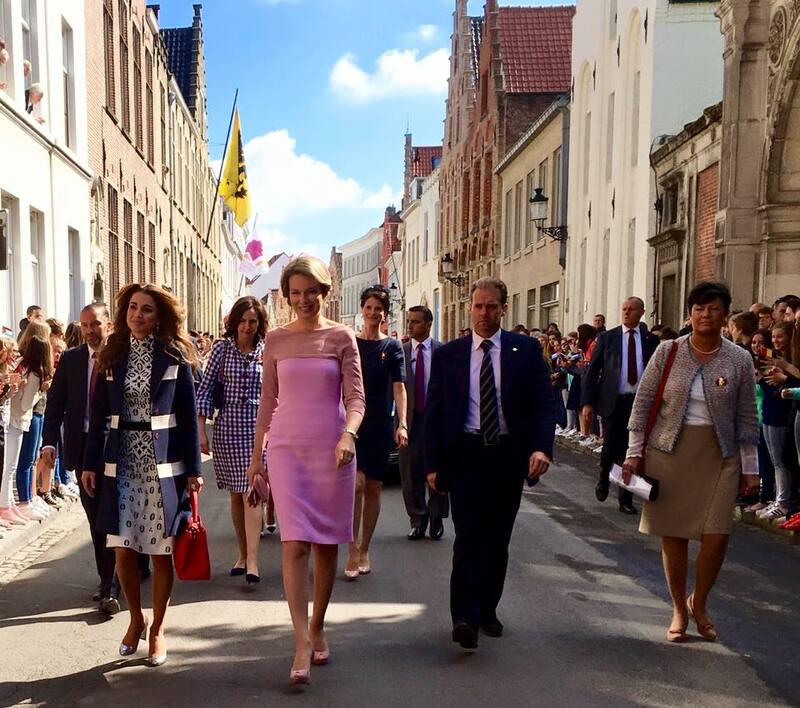 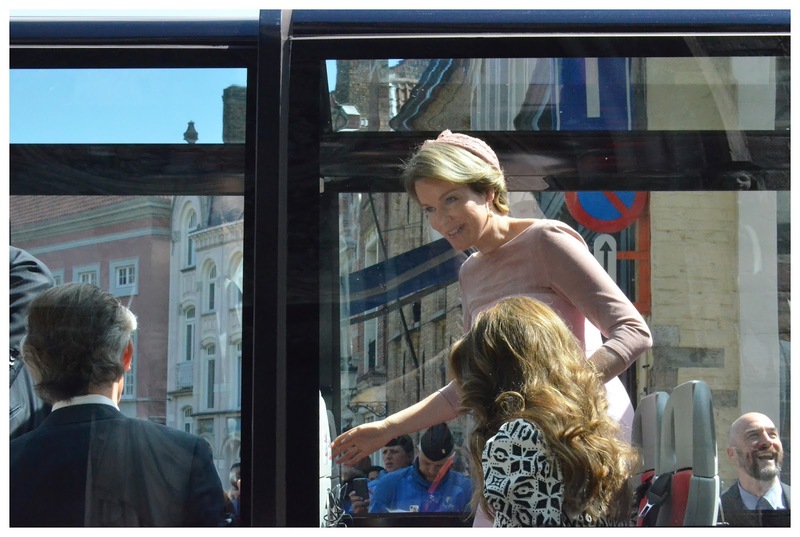 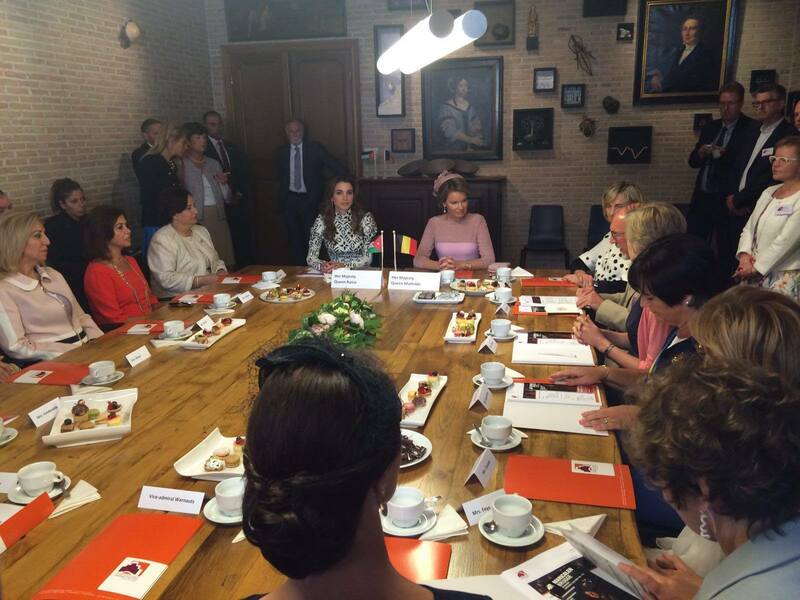 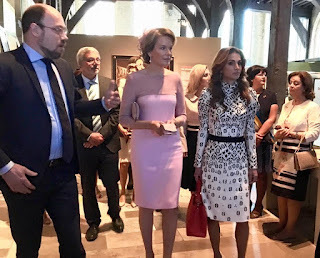 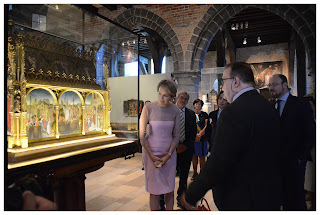 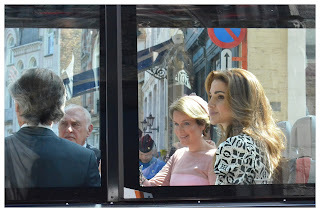 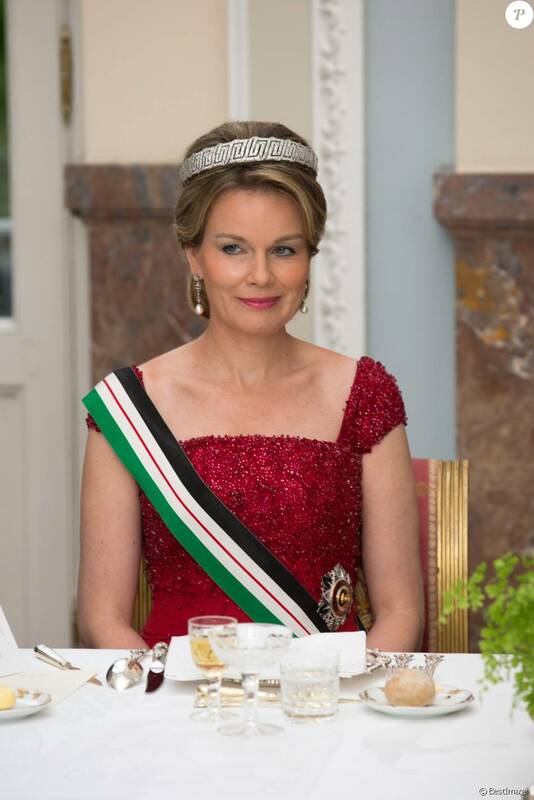 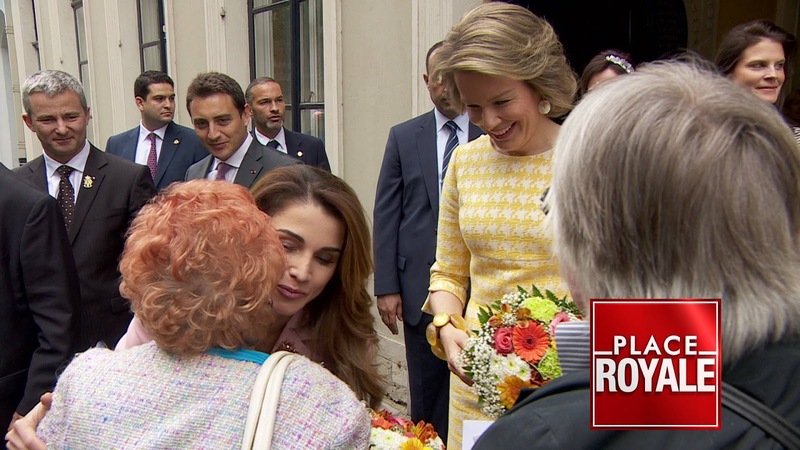 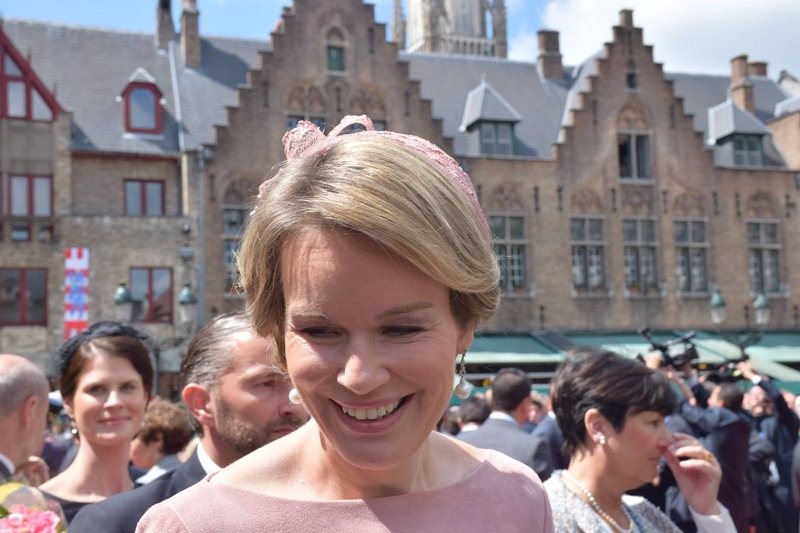 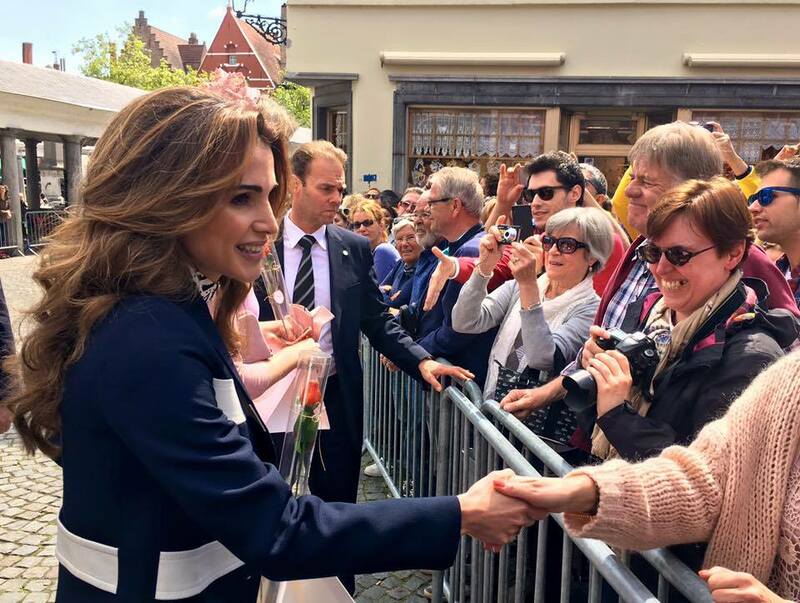 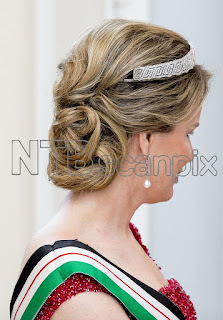 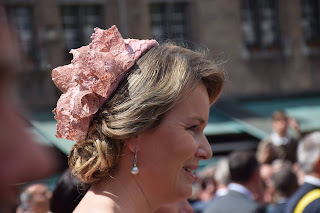 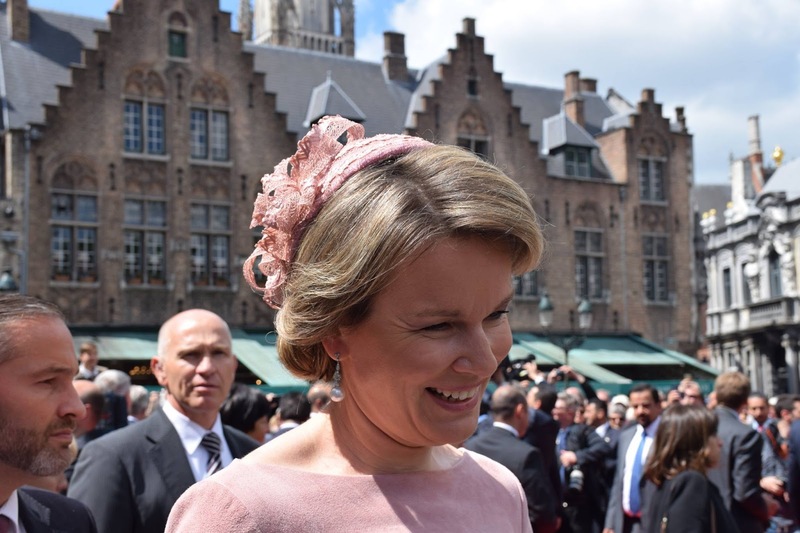 Queen Mathilde and queen Rania of Jordan visited Bruges together. Their flower bouquets were created by florist Frederik Van Pamel. 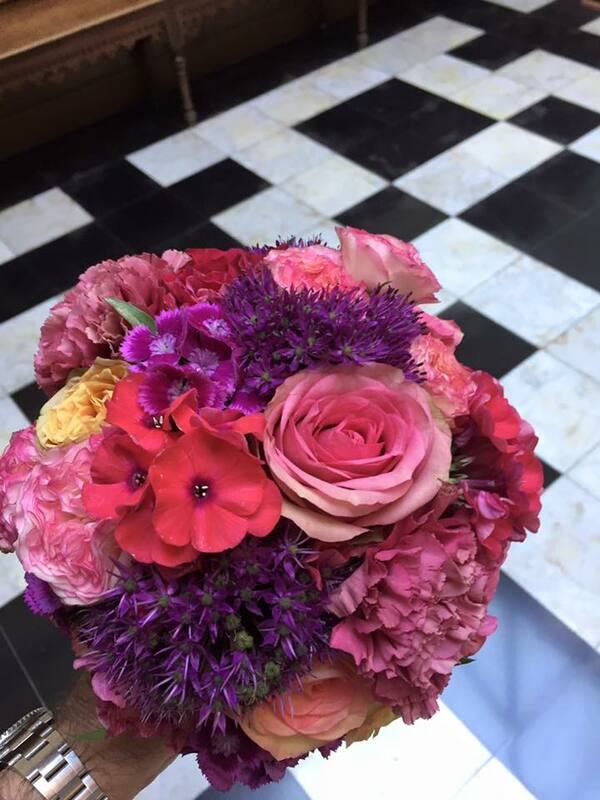 Rania had requested flowers without smell or pollen, because of her allergies. 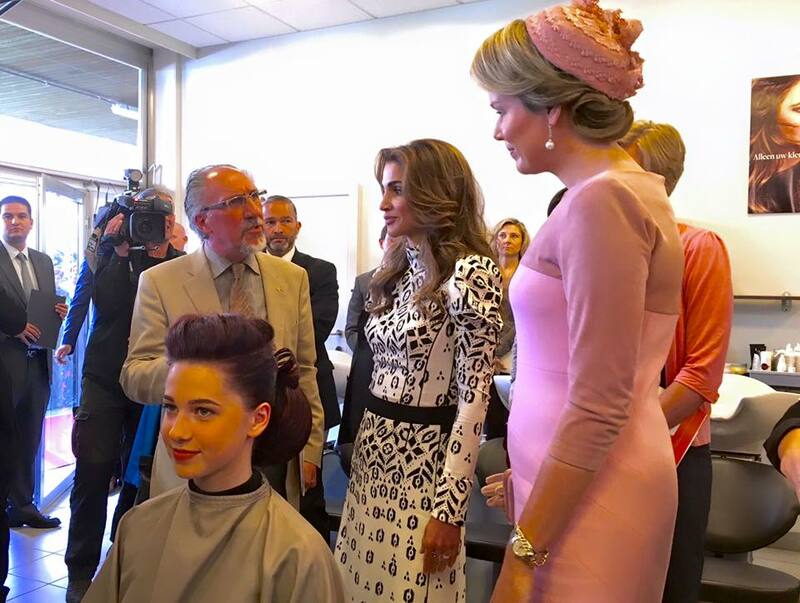 Both queens visited the "Heilige Familie Maricolen" secundary school where migrant teenagers get intensive Dutch language training on top of their everyday schooling. They got on a chartered tourist bus to visit the Oud Sint-Janshospitaal Museum. 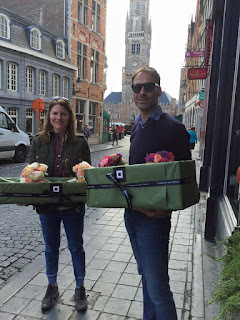 Then it was on to Dominique Persoone's "The Chocolate Line" shop for some chocolate tasting. Afterwards they were joined by their husbands a walk through the historic city and a recaption at the city hall of Bruges. Hendrik Van de Velde, the Belgian ambassador to Jordan & Iraq. A lunch at the Residence of the Governor of West-Flanders concluded the state visit. 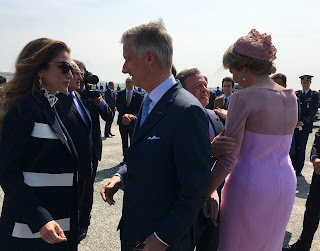 Philippe & Mathilde accompanied the king & queen of Jordan to Ostend Airport where they said their goodbyes.